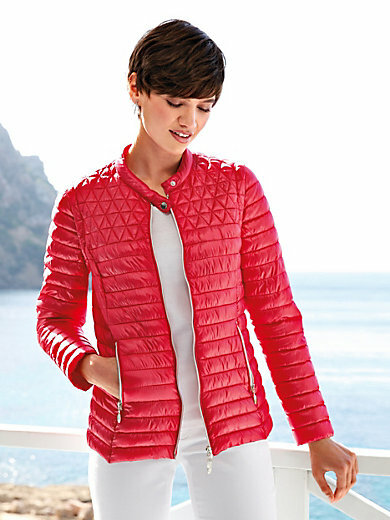 Quilted jacket by PETER HAHN with zip-off sleeves. This multitalent also makes the perfect quilted gilet! Top-quality finish in sandwich stitching with stitch variations and lightweight padding in 100% polyester. Slightly tailored style with a tab and press stud fastening at the raised collar, 2-way zip and 2 zipped pockets. Outer material and lining in 60% polyester, 40% polyamide. Length approx. 62cm/25ins. The quilted jacket is machine washable.